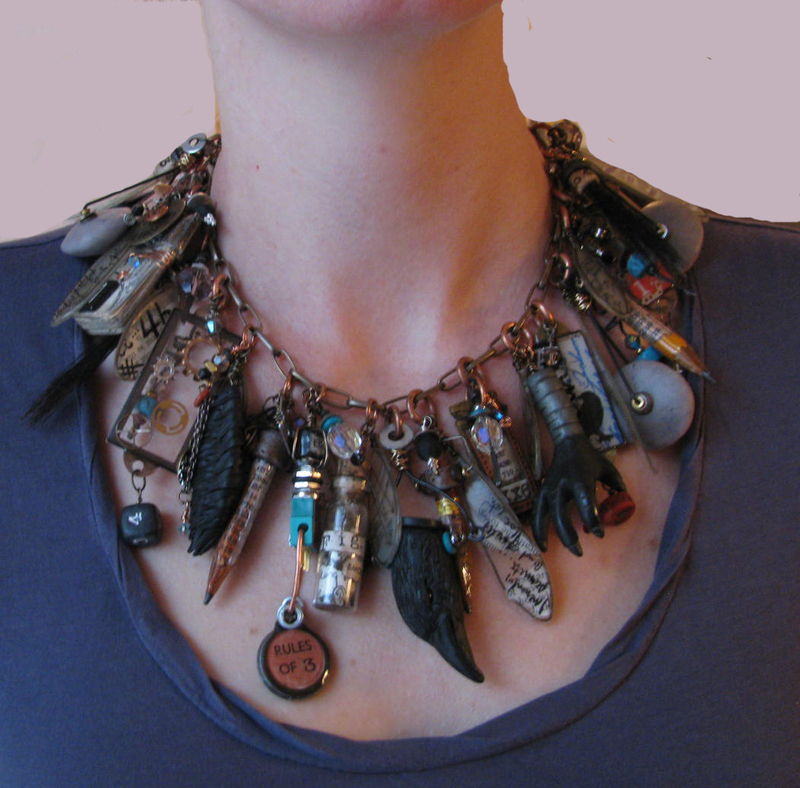 I had been very much inspired by the charms Vickie made for her Jules Verne Meets Urban Grunge necklace from last spring's Claymagination. While I have used several found objects and metal in this piece, I also loved the idea of using the clay to imitate some of the found objects to give it much more of an individual feel and also get rid of some of the weight that tends to accumulate when you use a lot of metal and glass. 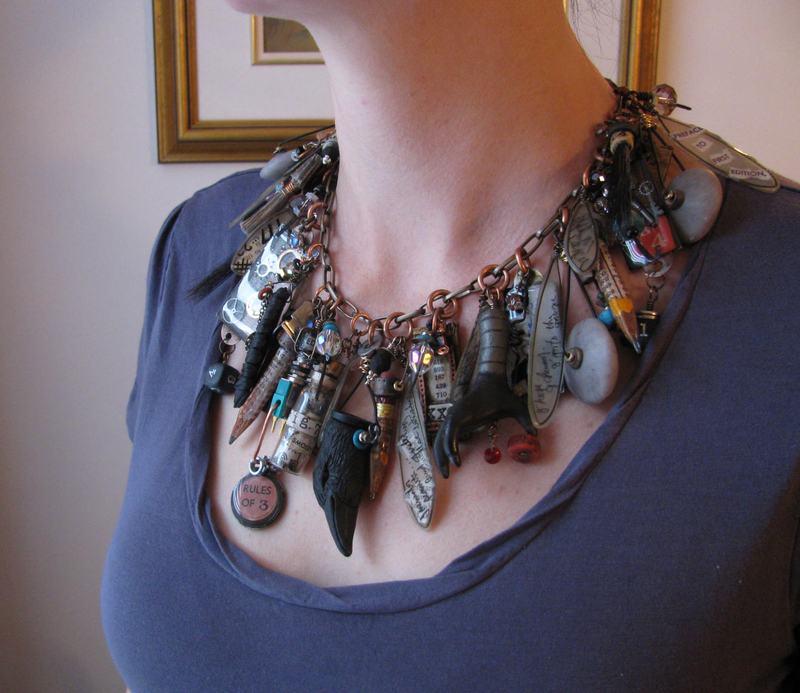 As you can see, I've also incorporated some of my hand-sculpted bird parts. I feel this piece came to tell a bit of a story about secrets and protection. Two things I feel the raven has come to represent to me. The "leaves" all have little messages written on them - some of them funny, and some of them wistful; and the tiny glass bottle even has a note that I wrote, carefully rolled up inside and all but obscured by elements around it. Anyway, I find I'm quite addicted to creating more runes for more works of what we're calling Neogrunge pieces. We like to think of them as arrested city mechanics in fine art form. *Please ignore what's below this sentence as this post was created by Sandy, not Vickie. Sandy, this is really stunning. I would love to see closeups of some of the individual charms. It is beautiful and will look stunning on you, you definitely have the beauty to carry off a necklace like this.